Fantastic reflexology and massage from Ruth. Best reflexology I’ve ever had. I would highly recommend Ruth’s treatments. To book a Reflexology treatment you can use the online booking calendar. Alternatively, you can ‘call 01664 454 623 or ‘text’ 07434 941 295 ( local signal is poor for calls but texts do come through!) 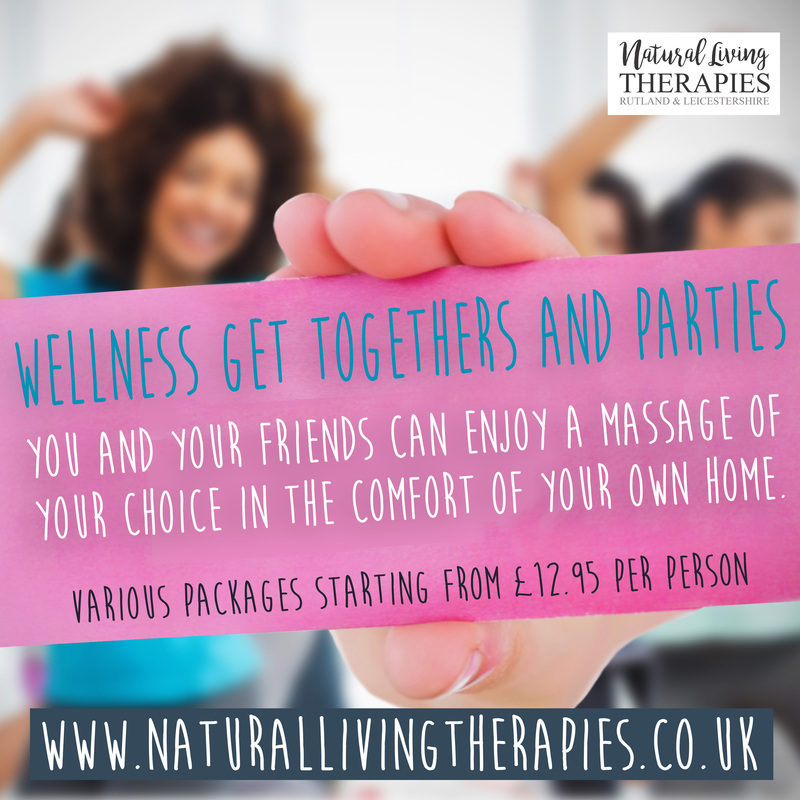 or email hello@naturallivingtherapies.co.uk. After a short health & well-being consultation, you can get comfy on the couch and we will begin the reflexology treatment. It is a relaxing and enjoyable feeling, many people drift off into a relaxed state, whilst others like to chat or ask questions during the treatment – all is fine. The important thing is you do what makes you comfortable and relaxed it is about you. A full treatment will be given in the 60minute session. Any problem areas highlighted during the consultation or found during the treatment will be focused on to boost healing and re-balance in these areas. 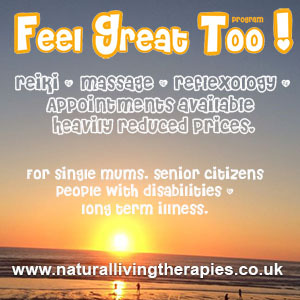 Reflexology is an amazing holistic therapy which can help to stimulate the whole body. Reflexology is a therapy which can be received by anyone at any age. It helps the body to restore its balance naturally, after a treatment your tension may be reduced and you might feel relaxed.It helps different people in different ways, some people feel relaxed, some people find they sleep better, many feel less stressed. The best thing to do is to try it and see if it can help you. Stress Reduction – When we are stressed our body’s defences break down and we become more susceptible to illness and disease. this treatment reduces stress by generating deep tranquil relaxation, helping the body balance itself and allowing healing energy to flow. Improved Circulation – Blood needs to flow freely throughout the body carrying oxygen and nutrients to all the cells and removing the waste products of metabolism and other toxins. By reducing stress and tension, reflexology allows the cardiovascular vessels to conduct the flow of blood naturally and easily. Stimulated Nerve Function – By stimulating more than 7,000 nerves in the feet, the treatment encourages the opening and clearing of neural pathways. It interrupts pain pathways, reducing pain. Improved Immune System – Stimulating the lymphatic system thus reducing the risk of infection. It cleanses the body of toxins and impurities and also stimulates the production of endorphins, leading to an improved immune system and sense of well-being. Covering Leicestershire & Rutland including: Oakham, Uppingham, Melton Mowbray, Stamford, Asfordby, Barrow Upon Soar, Twyford, Somerby, Whissendine, Wymondham, Barnsdale, Pickwell, Great Dalby, Frisby on the Wreake, Tilton on the Hill, Langham, Burton Lazers, Cold Overton, South Croston, Barkby, Beeby, Ashby Folville and other surrounding areas.